The clock is ticking on your quarter—and your sales quota. Your sales team is trying to get signatures and close deals, but are losing time dealing with paperwork and chasing down signatures. 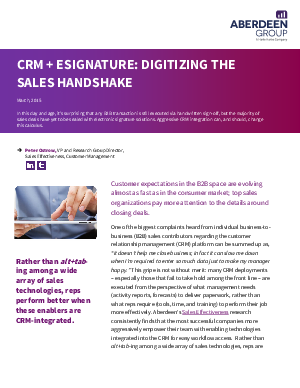 It’s surprising that any B2B transactions are still executed via handwritten sign- off, but the majority of sales deals have yet to be sealed with electronic signature solutions.